Mod Betty isn’t much of a cook, but once a year she’s all about the Fluff. You see, she’s a Massachusetts gal, so many a holiday season she makes Never Fail Fudge and Marshmallow Treats from this locally made marshmallow creme creation. 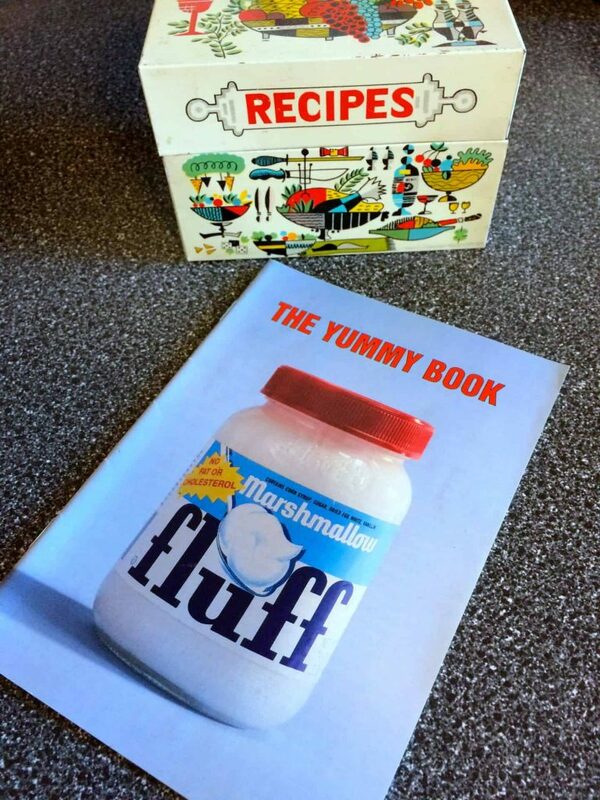 Heck, her recipes even come from the Fluff Yummy Book that she sent away for years ago! Since this is the time of year for sharing and sweet things, I thought this was the perfect opportunity to share my fondness for this locally made treat! 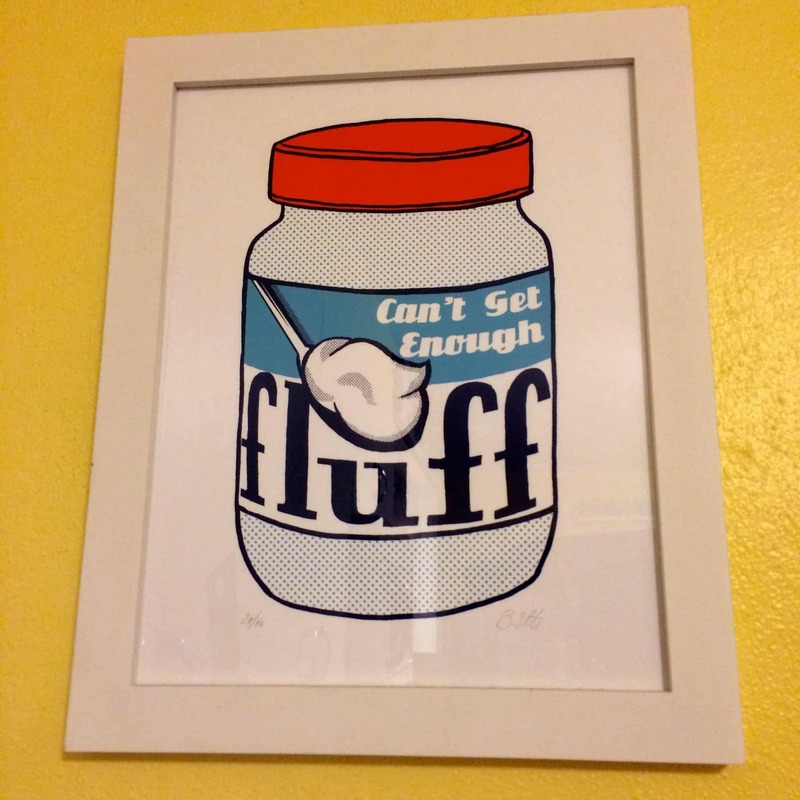 This Fluff print from Yardsale Press decorates Mod Betty’s Hacienda kitchen. Still family owned, the company makes Fluff and only Fluff, with over 50% of their product being sold in the New England states, or to ex-pats like me, who are happy to see the familiar blue and white packaging on our grocery store shelves. 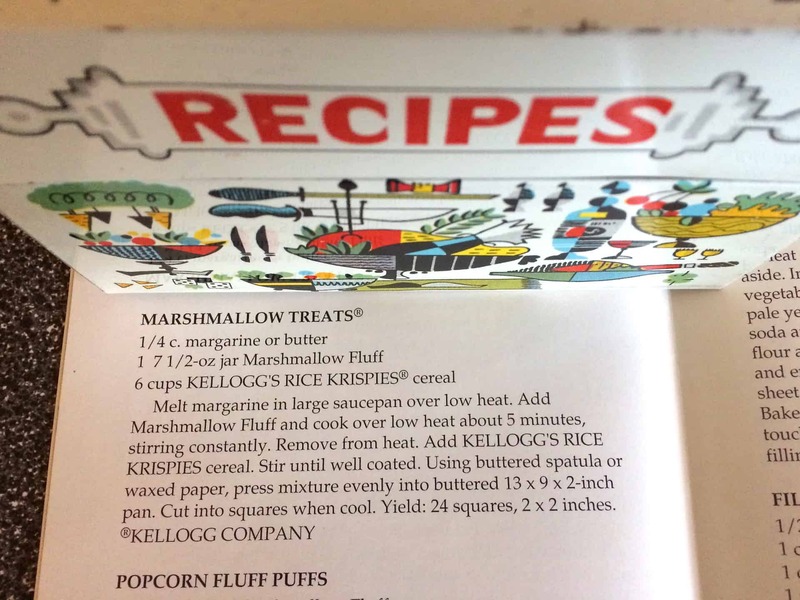 As mentioned, for years the Durkee-Mower folks created a print Yummy Book (pictured above) but now all of the recipes are available online on their website. And our fave pals at the Velveteen Lounge Kitsch-en know how to whip up a Fluff-filled appetizer AND a coordinating cocktail! (not High Fructose Corn Syrup!) and Vanilla (now Vanillin, a vanilla substitute). 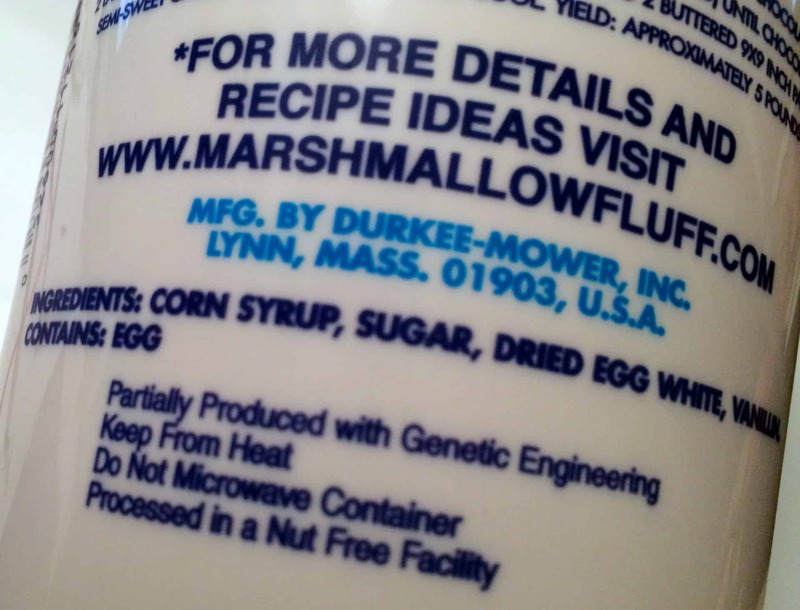 While it is Gluten Free, Cholesterol and Fat Free, not to mention Kosher, I was surprised to read on my most recent tub of Fluff the words “Partially Produced with Genetic Engineering”. But not to fear! A quick phone call led me to a friendly chat with Paul Walker, the Vice-President of Manufacturing at Durkee-Mower for over 30 years. Since I could not find any info about this online, I figured I’d let you all know about it here, as not to have to call Paul yourself! He explained to me that this label was because of their corn suppliers who, despite testing that has shown no traces of genetically engineered corn, could not guarantee that their all of their supply was GMO free. To be on the safe side for people concerned about this, and anticipating the Vermont GMO label law and possible future legislation they added this to their label. 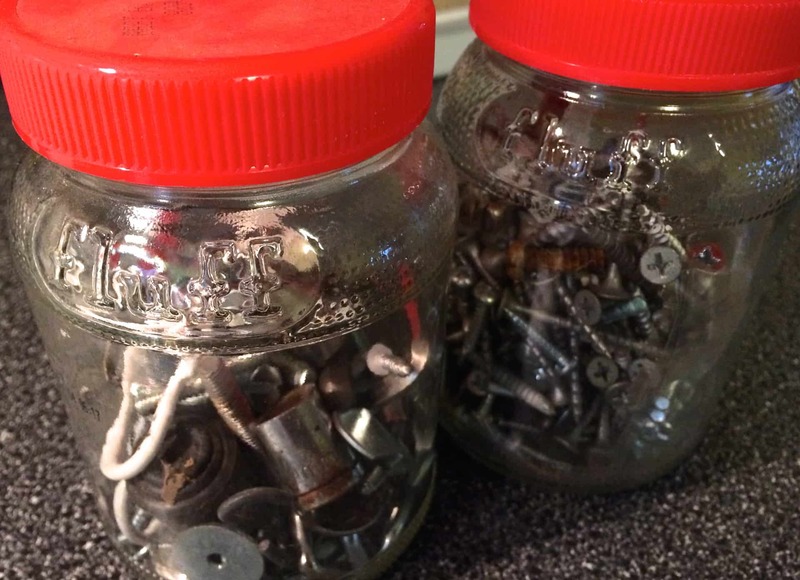 One thing I love about Fluff is that long after the sticky stuff is scooped out, the jar or tub was designed to be easy to reuse. The embossing on either side of the jars makes it easy to grip and the 16 oz tubs have nice straight sides for easy filling and nice tight fitting red lids. Family owned, still made in the US from the original recipe, one half of the iconic Fluffernutter sandwich, and key ingredient for holiday treats every season for almost 100 years. 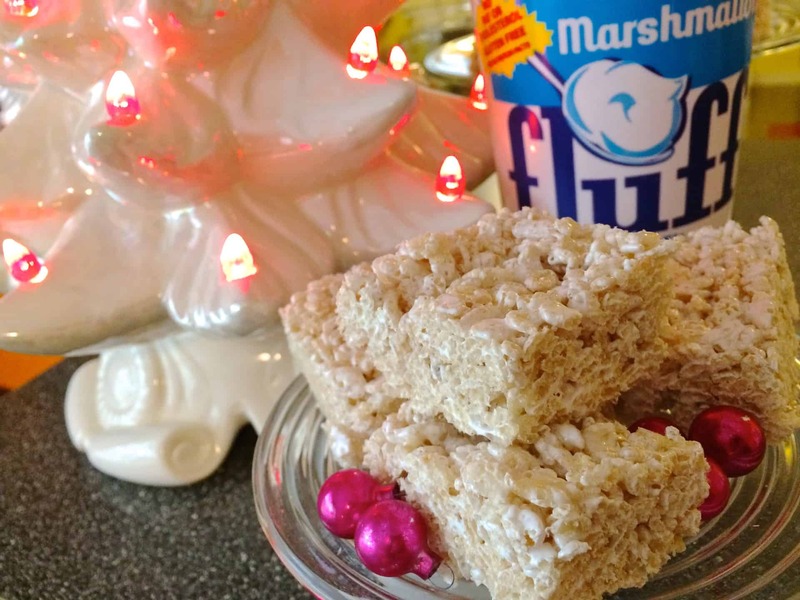 Find out where you can buy Fluff near you and mix up a batch of something tasty, Retro Roadmap style, just like Mod Betty! 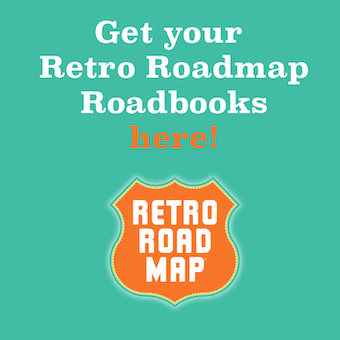 PreviousClassic Car Museums Guidebook – Roadsters Unite! Next[CLOSED] Balich 5 & 10 – Arlington MA Five and Dime Time!